I’ve introduced update KB4041676 for Windows 10 Creators Update (Version 1703) within my blog post Windows 10 Updates (Oktober 10, 2017). The blog post contains details, what has been fixed. Update KB4041676 for Windows 10 Version 1703 ended on my HP laptop after restarting with the error message that the update could not be installed. And the system has been rolled back. I had this a few months ago. Let’s see if it is sufficient to restart the update after a few days of waiting time. I testet the update install on a virtual machine on a 32 bit Windows 10 V1703 without any issue. At reddit. com there is this thread, but it’s not very useful in terms of details. Users are reporting very long download and installations periods, but not detailing the Windows 10 version nor the KB number. That makes the statements rather useless. Some information that is relevant to me: A user complains that the store continues to make a mistake when he wants to install an app. However, a special constellation of the user may exist, which does not fix the update. I will keep an eye on that thread.. The English MS answers forum contains the thread My computer keeps restarting because windows update won’t install KB4041676. 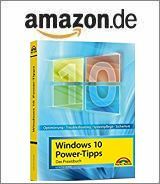 A user wrote about install issues with update KB4041676. I am trying to download the Cumulative Update for Windows 10 Version 1703 for x64-based Systems (KB4041676), its been at 23% all day. But the user mentioned Norton, so I suppose his third party antivirus solution block the download/install. Within this short article some cases are mentioned, where the update installation has been slow (4 hours), the download freezes and so on. The article mentions also users with install rollback. I found also this forum thread, where users reporting slow downloads and hanging downloads (hangs at 0%, stops for long time at 3%, 18%, 25% and 66%). In this forum thread some users reporting the installation fails and will be rolled back. That has also been the case with a manual download of the package and an attempt to install the package manually from disk. If the download seems to hang, please be patient. It may take many hours until the update is downloaded and installed. If a download and install error is reported, try the following steps. Uninstall third party anti virus software and use the vendors clean tool, to remove all install files. Reboot and try again. Type trouble in taskbars search box and click the trouble shooting command shown in start menu. The navigate within your Settings app to Windows Update troubleshooter. Got to this Microsoft article, and download Windows Update Troubleshooter, then run wu170509.diagcab. Resetting the Windows 10 Update Store. The relevant steps are described within my blog post Windows 10: Update error 0x80240437. Also make sure, that Windows isn’t damaged (see Check and repair Windows system files and component store). 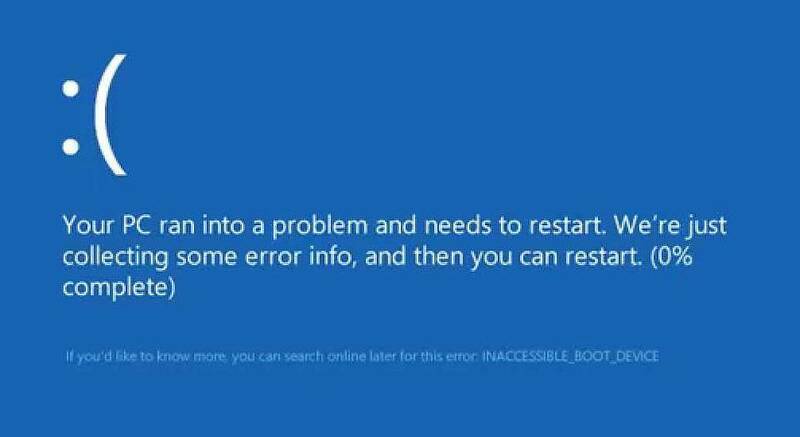 Some users are facing the the error that Windows 10 version 1703 does not boot anymore after the update installation and throws an’ Inaccessible Boot Device’ (error 0x0000007B) Blue Screen. This is the case, if the boot process can’t access BCD store. Some German blog readers reported this issue here. Microsoft has documented error 0x0000007B here and gives some tips to fix it. Also this Technet blog post deals with this topic. In case, Windows 10 won’t boot after update install, try to reboot into Windows Repair environment (Windows RE) and do a system restore. Then block the updates to be reinstalled again (see How to block Windows 10 updates). Fix: MVP Didier Van Hoye has here a detailled how to, to fix a non booting Windows 10 using Windows PE. A collection of several solutions may be found here and a discussion about the issue may be found within this MS Answers forum thread. Addendum: Microsoft has confirmed the issue – see my blog post Microsoft confirms BSOD issue with KB4041676/KB4041691. Addendum: There has been a Technet forum thread that revealed details about the scenario this issues happens. But the thread has been deleted a few minutes after post. I’ve catched the text within this German comment. Microsoft has released this document a while ago, saying the enroling delta and cumulative updates at the same month in WSUS isn’t supported. Delta update is available for servicing of Windows 10, version 1607 (Anniversary Update), version 1703 (Creators Update), and version 1709 (Fall Creators Update). For releases after version 1709, you will need to implement a deployment infrastructure that supports Express update delivery to continue taking advantage of incremental updates. Important: if you see Package_for_RollupFix~31bf3856ad364e35~amd64~~15063.608.1.23 in your package list, please firstly remove this one and reboot to see the results. If it doesn’t work, remove all other pending packages. Note that the issue is NOT with the Cumulative Update. Root Cause: The Windows 10 Delta & Cumulative Updates were both published to WSUS & SCCM which is a situation that should not happen. Customers should re-synchronise their WSUS / SCCM server and the Delta Updates Binaries will be expired. There is no issue with the Windows 10 or 2016 Cumulative but only an issue when both the Cumulative and Delta are installed on a machine together. Since Delta Updates are never available to Windows or Microsoft Update, this could not have affected Consumer scenarios. Please go ahead and deploy the Windows 10 & Server 2016 Cumulative and Security Only Updates. Addendum 2: There is also an article with discussion at neowin.net, where the same scenario at SCCM environments has been mentioned. And I forgot, that the KB description of this update mentioned, that an active USB Type-C Connector System Software Interface (UCSI) may causes blue screens. But Microsoft hasn’t revealed details which kind of BSOD is raised. And there is a reddit.com thread with the thread startet posted a fix. But from I got as feedback from my German blog readers, if the issue occurs within a WSUS/SCCM environment, the dism /remove command won’t work and fails with an error code. 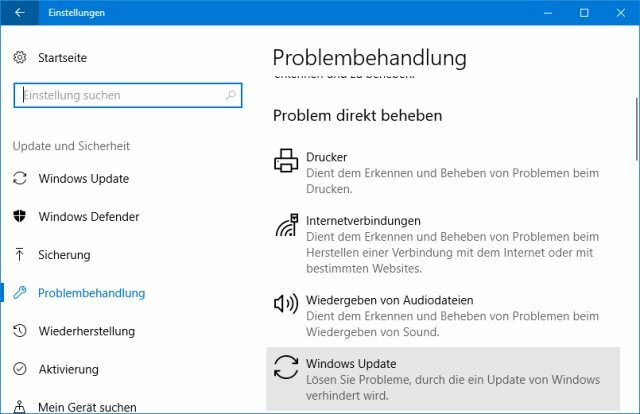 I’ve seen this thread at German Win-10 forum, where the thread starter reports error 0x80073701 during update install. Just bee brief: Error 0x0x80073701 stands for Missing Assembly, that means, something in WinSxS is broken and has nothing to do with a broken update. I’ve covered this error within my German blog post Win 7 SP1-Fehler 0x80073701 (Assembly Missing) an English machine translation is available. Perhaps it helps. This entry was posted in issue, Update, Windows and tagged error 0x0000007B, install issues, Update KB4041676, Windows 10 Creators Update. Bookmark the permalink. Thx Rainer – I received also similar feedback within my German blog. It seems that all Windows 10 Versions may be affected from the BSOD error and inaccessible boot device. Just want to leave a message saying thanks for the very thorough article. I had just rolled out WSUS after running it in testing, and then this happens! Thankfully only 2 are effected so far, one could get started again by using system restore, but I had to remove the packages on the other to get that going. Ran a synchronize this morning and I hope that was quick enough to avoid further issues. Your article is very well done. It is detailed and links to great article, much appreciated. Thank you! I don’t want to rant about M.S. but I still have to say they screwed us, leaving us to try to fix a clusterF%%$ and I have been working with computer for 40 years. Imagine the hell people with less experience go through after they invest a small fortune in a windows computer, and have to search through all this..
but, even with al these fixes I still can’t fix the error. My system runs great. So, either leave it alone knowing it’s still fubar, or go through more hell with not knowing what happens. If I were a better, I would say someone at MS screwed up. or, at the least a fix. After installing 2017-10 Cumulative Update for Windows 10 Version 1703 for x64-based Systems (KB4041676) the first time, my 1-year old Dell laptop running Win 10 from the factory was so slow as to unusable, so I had to uninstall it. Fine for the next three or four days, and then today without warning the same update downloaded and installed itself, holding my machine hostage for a couple hours. And now I am back to a really, really slow computer. How do I stop this madness? Replying to my own comment, I was able to wrangle back hogged resources by using the Norton 360 firewall settings to block Edge (MS’s browser that cannot be uninstalled), and Cortana (apparently also a resource hog). With those two blocked, my disk is not 100% occupied all the time and the laptop again runs lightning fast. Another MS boondoggle thwarted! I was able to remove 2/3 pending installs. 15063.608.1.23 is being stubborn. It gets to 10% and hangs for about 10 minutes then I get a 0x8000fff error…. Any ideas? 0x8000fff is a kind of generic error – no more details what went wrong. If you have removed third party AV and tuning tools, I’m running out of ideas. My wsus server keeps serving up the cumulative update version of kb4041676, and my machines keep installing it and failing, and then retrying again on the next windows update check. Anyone else having this issue? I can’t get it to install. I’ve done the dism thing on the client and removed the hotfix that was pending.